If where you live winter means freezing cold weather, then you depend on your furnace, and perhaps you sometimes take it for granted because it has always worked. If you have had the furnace for a number of years, then you should be prepared for possible problems. You can be prepared by finding a furnace repair in Fort Worth TX that is available all the time and even in an emergency. You will want to find one that will guarantee both their products and their service, and you will want to find one that charges amounts that you can afford. You might find it strange to be searching for a furnace repair in Fort Worth TX when your furnace is still working. You will not think it so strange though when you are freezing cold, perhaps do not have electricity to search for a heating repair company, but you have that phone number saved to your cell phone, so you are able to call for assistance. The efficiency of your furnace could even be a sign that you need some repairs done, so if you notice a change in this area, then you may need it repaired sooner than you would have thought. Begin your search with the furnace company that initially supplied the furnace you own. Also, make sure that you check on the warranty of your present furnace to see if it is still under one. If that company is no longer in business or is not one you want to work with again, then go right to the internet to begin searching for websites of various companies. As you look at the websites, make sure the one you choose has availability that you can trust. It should say on the website whether they are available 24/7 as well as in emergencies. This is something that you will want, because when the temperature drops below freezing, you will not want to wait long to have it repaired. Another important attribute of the heating repair company you choose should be that they guarantee their products and service. This means that the furnaces they supply have a warranty, and you should not have to pay for problems. It is important for the service to be guaranteed as well. This means that the individuals coming to fix or replace your furnace will show good customer service, respect your property, and be accurate and efficient in their work. 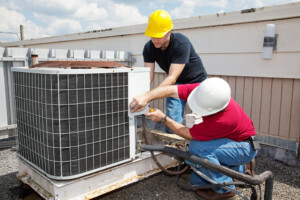 The initial cost of repairing your furnace is probably a concern, so as you look for the right company to have on hand, make sure that you compare the prices for labor at the various places. Parts will cost as well, but knowing the labor cost will help you to know what one will be the most affordable. After taking these areas into consideration and any other areas that are a concern to you, you will be able to choose the furnace repair company to add to your phone. You might end up needing to call them sooner then you know. It is always better to be prepared by researching in advance, so that you do not need to rush into choosing a company that may or may not be a trustworthy one.